With roots in India (check out the fantastic film for details), we work with primary and secondary schools to deliver a rapid improvement in literacy. We have two evidence-based products, Decoding and Comprehension. Both are online, allow schools to work with groups of 10, and can be delivered by trained TAs. 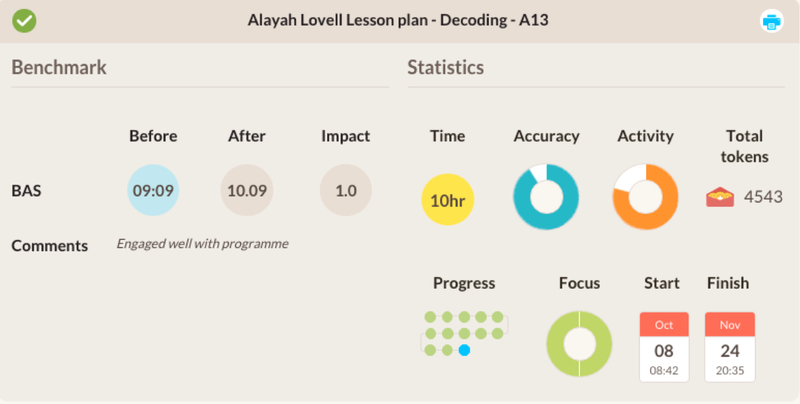 Decoding takes learners through a carefully structured, personalised learning journey. Students work through blends, progress through common endings, words and sentences using a variety of innovative approaches to unlock reading. The content starts at the beginning with letter-sound recognition and progresses through every four-syllable word in the first 3 Harry Potters. Comprehension empowers learners through key strategies, like questioning, summarising and thinking ahead. The focus is on 'meaning-making' with anticipation is built through the narrative of 'The Red Stone of Calcutta.' Comprehension Transforms reluctant readers to enthusiastic, book-hungry participants. We make life easy for our schools. Teachers are busy enough. Our Dashboard gets you progress data fast. View impact. Isolate challenges. And much more. Training for every school. All staff welcome, empowered together to turn strugglers into enthusiastic, engaged readers. Decoding. Reach groups of 10. Deliver impact. Empower your TAs. Comprehension. Teach strategies to inspire and engage. 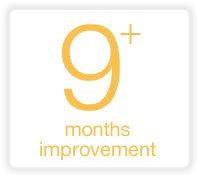 An improvement in reading age of over 9 months on average, in a programme that takes just 20 hours to deliver. Sounds too good to be true? We've spent years researching to get here. Spend a few minutes reading our reports. Our schools are proud to talk about the ReadingWise impact. Read case studies from primaries, secondaries, high EAL schools and small rural schools. Or watch one of our films. ReadingWise English can help you narrow the attainment gap in your classroom. 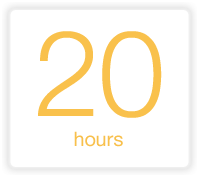 Research showed it raised the reading ages of struggling readers by an average of nine months in just 20 hours. Only one adult to 10 students is needed and the programme does not need specialised teachers - teaching assistants can learn in half a day how to deliver it. ReadingWise English specifically targets the 20% of all learners who struggle to read using mainstream methods. By using the programme you’ll know that you’ve done all you can to improve the educational outcomes for all the individual learners in your class. It works for anyone who struggles with any aspect of reading - adults, children - even those diagnosed with a learning difficulty such as dyslexia. Because of its advanced “grounding” techniques, designed to improve concentration, ReadingWise English raised reading ages in children with attention difficulties by an average of over 12 months. ReadingWise English helps everyone, from readers who can hardly read one letter to those who just have difficulty with long words. ReadingWise English uses a remarkable unique system of letter recognition that brings about effortless learning in early readers of all ages and abilities. 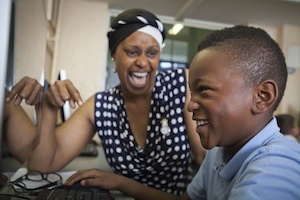 Our goal at ReadingWise English is to enable every poor reader in the UK (and the rest of the English-speaking world) to have access to this programme so they don’t get left behind. That’s why the cost of this programme is so low. Enter your email address and receive our free report as featured in the Independent on Sunday. We surveyed over 500 literacy teachers to gauge their views about what works – and what doesn’t. We are conducting an election poll of school leaders’ and teachers' views on literacy. The survey opened February 2015 - we are grateful for your time, and for you sharing the link with colleagues.